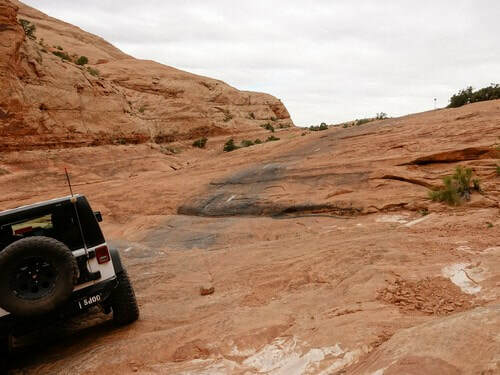 Golden Spike 4.5 is a difficult Jeep trail connecting Poison Spider 3.5 and Gold Bar Rim 4.5. 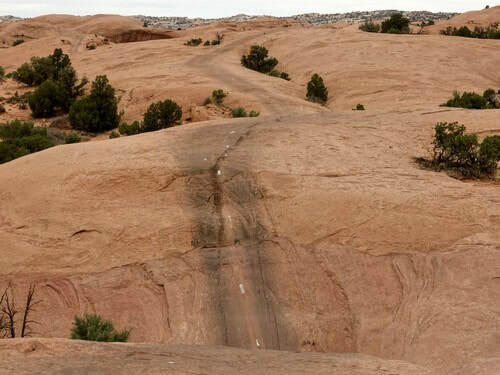 This is one of the most famous trails in Moab because it has the Golden Crack. 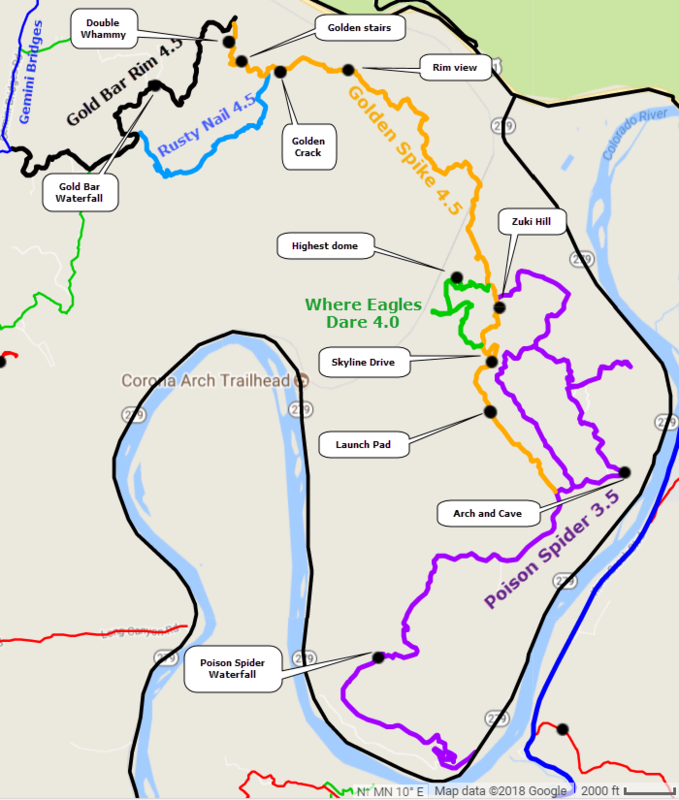 The only reasonable way to do this entire trail is to also do Poison Spider 3.5 on the south end and Gold Bar Rim 4.5 on the north end. This combination is called the "Trifecta". You are in for a long but enjoyable day on the Trifecta. 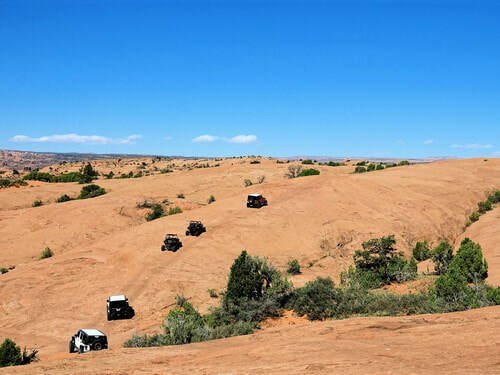 Plan on 9 - 10 hours round trip from Moab, depending on the size of your group and the amount of traffic on the trail. A small group in the off season will be quicker. "Launch Pad" is the first significant obstacle encountered. 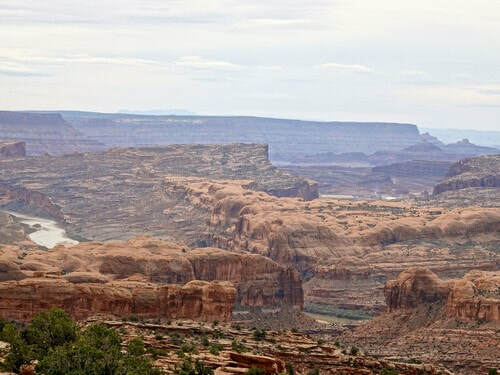 There is a steep drop and then a steeper climb up the other side. This is quite a thrill the first time you do it. 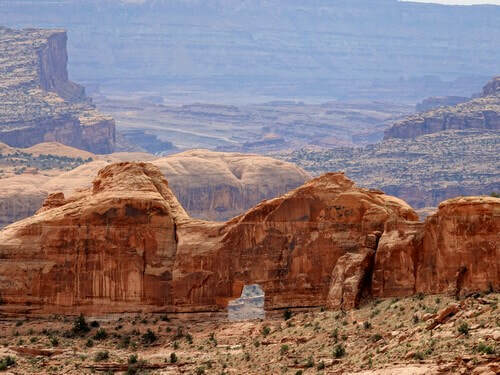 There is quite a stretch of fun and scenic slickrock after the Launch Pad. 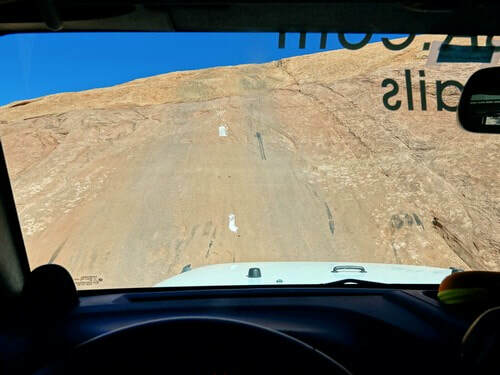 Zuki Hill is so named because a Suzuki driver rolled over while attempting it. 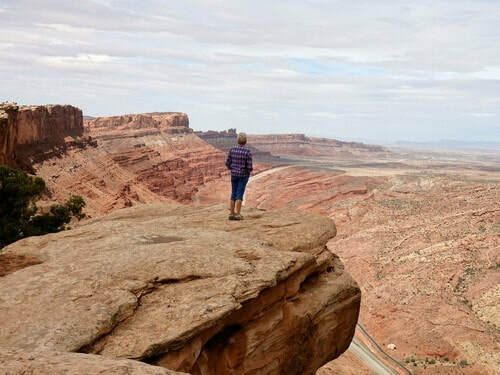 The trail is one obstacle after another until you come to the edge of the rim, where the view is great. 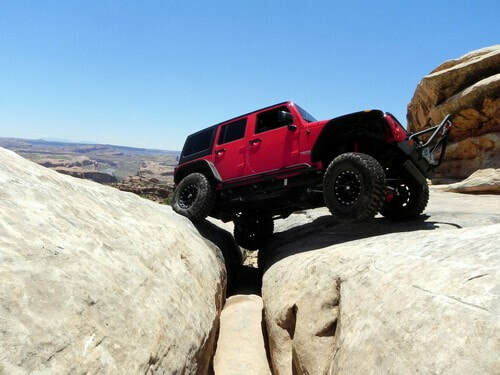 The Golden Crack is the signature obstacle of the trail. 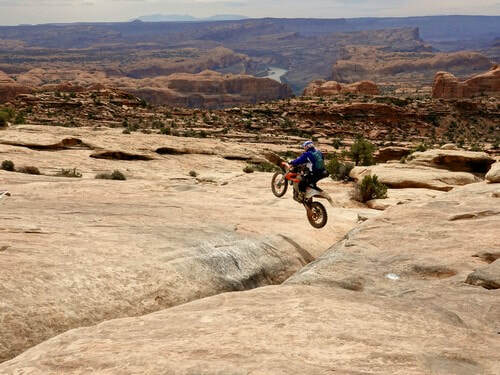 The opening photo of this page shows a Jeep crossing it, but dirt bikes do it a bit differently, as shown in the next photo. 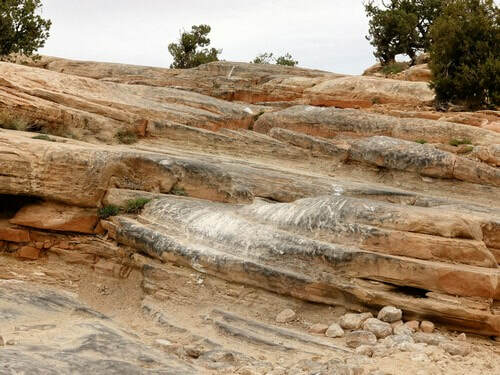 The Golden Stairs is shortly after the Golden Crack. Double Whammy is an extra credit shown as a waypoint farther along the trail. 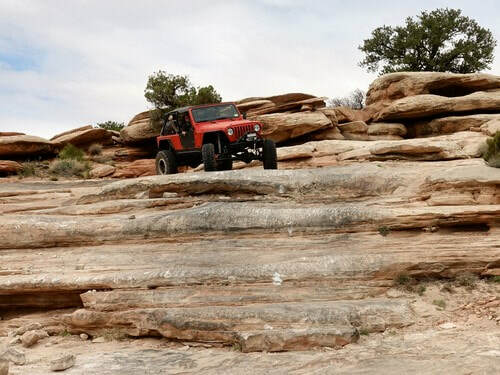 This trail is not completely about rock crawling - there are a few scenic spots as well.